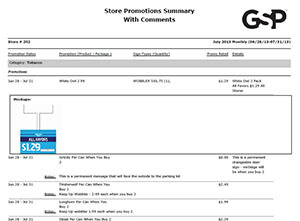 ""GSP’s software solutions have simplified the process for rolling out our monthly marketing campaigns - saving myself, and store employees, a lot of time in not only planning but executing at the store level."" The Kroger Co. currently operates 784 convenience stores in 19 states under different banners, including: Tom Thumb Food Stores, Loaf ‘N Jug, Quik Stop, Kwik Shop and Turkey Hill Minit Markets. 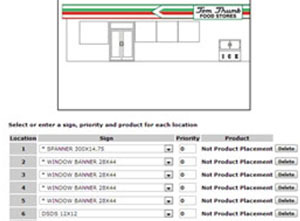 Tom Thumb Food Stores are located throughout Florida and Alabama. The stores offer a limited selection of Kroger private-label products, and some stores are served by Kroger distribution centers. 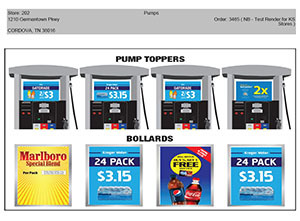 Tom Thumb was looking for a way to simplify the rollout of monthly POP Marketing campaigns. The Advertising Manager was spending a lot of time putting together monthly store planners manually and wanted to find a software tool that could automate it for her - to spend less time planning each month. 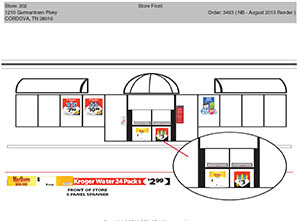 Tom Thumb was also looking for a solution to help simplify execution at the store level - to make it easy for store employees to implement the POP advertisements at their specific location. Tom Thumb chose AccuStore®, GSP’s proprietary software tools, to enhance and unify marketing execution in all of its stores. Even though each store is different, they can easily provide 100% Store-specific Marketing Guides to each one. The software helps them effectively and efficiently communicate activities and instructions tailored to each store that includes exact sign placement. As a result, each store understand the specific promotional price points and activities associated with their location.